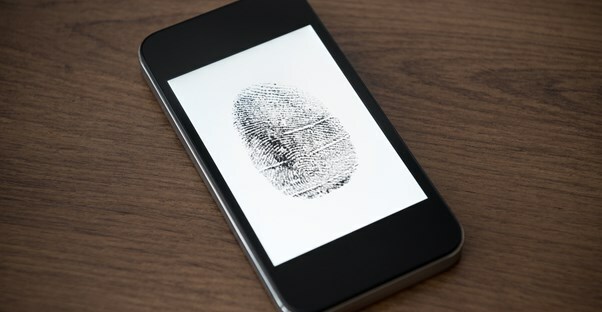 If you are one of those people who does everything on your smartphone, including your banking, be sure to secure your phone with a personalized passcode. This ensures that all of your personal and financial information will be secure should you ever misplace your device. When doing your banking on a computer, be sure to verify that you are on the website of a legitimate financial institution, and not an imitation site. Look for a padlock symbol next to the website's URL to ensure its security. Additionally, a website URL beginning with "https" denotes a "secured" website with added security capabilities. When creating a password, your first thought may be to create something that will be easy to remember, such as a part of your name or a birthday. However, when trying to access your account, these combinations will most likely be someone's first guess. Create a password that is at least 6 characters with a combination of letters, numbers, and at least one symbol. Do not reference any personal information. There are plenty of scams involving people sending fake e-mails pretending to a bank or other legitimate institution. Never send your account number or any personal information over e-mail. It is not a secure method of communication. Your bank will never ask for your account number, as they would already have it. If you are unsure, contact your bank personally. It is best to only do your online or mobile banking from your own personal computer and on a trusted Internet connection. People commonly access the Internet from public places such as Starbucks or the library, which are most likely safe sources, but on a connection that isn't your own, you can never be sure. Verify that the connection is secure, as people will create connections for you to use and then be able to access your information. By following the tips provided, you are taking steps to protect your personal identity and financial information. If you observe any suspicious behavior on your account or have questions regarding the security of your identity, contact your financial institution immediately.